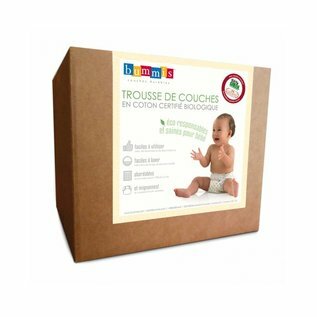 The ORGANIC COTTON DIAPER KIT is a value-packed box of cloth diapering essentials. It has everything you need to start cloth diapering now! You don’t need to be cloth diaper savvy to appreciate this stash-in-a-box. We've put together an economical, easy-to-use and eco-friendly kit that eliminates the guesswork from choosing a cloth diaper stash. Organic Cotton Prefold Inserts are luxuriously soft; they're also a very economical choice. You can dive into using cloth diapers without a big outlay of cash.